Skilful in the air, but awkward on land - the greater glider, or clumsy possum as it is otherwise known, is having a big impact on the logging wars in Victoria's East Gippsland. PHOTO: The Goongerah Environment Centre reportedly found 15 protected Greater Glider possums. The Goongerah Environment Centre wants to see Victoria's Environment Minister Lisa Neville hand over responsibility for these ecological surveys to an independent body, not VicForests. Last week, a group of 125 organizations from 45 countries signed a declaration asking that the European Union exclude large-scale biofuels from its next Renewable Energy Directive (RED). While the declaration itself is short on specifics, a linked supporting document focuses primarily on the widespread use of wood pellets for power generation and palm oil for biodiesel, and the impact of these two energy sources on forests and the communities that depend on those forests. The signatories also link to the World Rainforest Movement, an organization that cites concerns about the administration of the United Nations’ REDD+ program, which was specifically developed to protect forests. So, we have two groups that both claim to share the same concerns but differ widely as to how best to go about addressing them. The forest-protection groups cite examples in which efforts to protect forests through carbon-credit programs like REDD+ are counterproductive in places like the Congo and Costa Rica. They question assumptions made by agencies acting under REDD+, and challenge their basis for assigning credits for preventing deforestation. Furthermore, they assert that locals have not been involved in the process and receive little or no benefit, despite claims to the contrary, and that deforestation actually soared during the period in question. It underscores the fact that these intervention efforts by well-meaning entrepreneurial outsiders, who see an opportunity to do some good or make a few bucks (or perhaps a little of both), often fall short because of their failure to comprehend the complete picture. But if oversimplification is the sin of those who would come in and attempt to solve complex problems with simple solutions, it is also the sin of those who would ban all such attempts with a single stroke of the pen. To eliminate all large-scale biofuel production from consideration as renewable energy is to overreact to a few bad experiences and to throw out the baby with the bathwater. While it’s true that biofuels could be considered less renewable than sunshine or wind, in that it takes longer for the fuel to be renewed, it is clear that they are many, many times more renewable than the fossil fuels they replace. While those good folks wearing environmental hats, passionate in their desire to protect nature from human greed, oppose the idea of industrial agriculture (or anything with the word ‘industrial’), it’s pretty clear that this is an approach that unduly limits our options as we try to rapidly transform our economy to a more sustainable one. There is a presumption here that small-scale efforts tend to be cleaner and greener than large scale. That has not been documented and is certainly not always the case. But even if it were, it’s unlikely that small-scale efforts alone are enough to get us where we need to be in the little time we have remaining. Is this not another case of letting the perfect get in the way of the good? Biofuels may or may not ever be perfect, but there are several reasons why they should be included as an important aspect of any renewable portfolio. First, while most renewables like solar and wind are useful for electricity, they don’t directly feed our transportation needs without a massive overhaul of the entire system. Liquid fuels not only provide more energy per pound, but also fit seamlessly into our existing infrastructure. The current regimen in the U.S., while not without its problem, very quickly enabled us to cut gasoline consumption by 10 percent by supplementing it with ethanol. Early reports showing that first-generation, starch-based ethanol produced more carbon than gasoline have been discredited, and efficiencies in both crop production and conversion process have only improved since then. Biofuel production processes that are carbon-neutral and even carbon-negative havealready been demonstrated and are beginning to scale up. The path to a sustainable energy future will undoubtedly be filled with numerous potholes, detours and dead ends. Efforts that can’t deliver intended results need to be recognized as such and appropriate actions taken. We have no choice but to use the tools available, including certifications, though the EU declaration argues against this approach. Wood pellets and palm oil needed to be looked at carefully. Most important of all, though, we need to recognize that we don’t have the luxury to rule out an entire category of energy sources on the basis of a few bad experiences. MICHAEL BRISSENDEN: Skilful in the air, but awkward on land - the greater glider, or clumsy possum as it's otherwise known, is having a big impact on East Gippsland's logging wars. 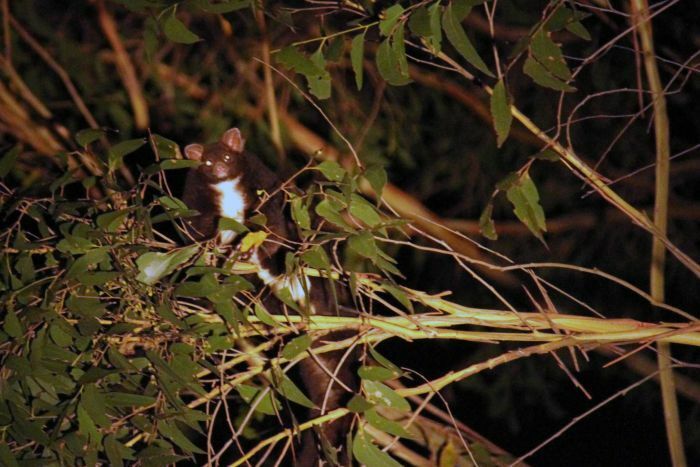 Journalist Elise Kinsella joined the Goongerah Environment Centre's Ed Hill during a night search for the clumsy possum's smaller mate, the yellow-bellied glider. ELISE KINSELLA: It's the dark of night here in the remote Kuark forest, outside of Orbost. We're about to play a recording of the powerful owl, a predator of the glider, to see if we can hear a frightened response. Ed, that second sound we heard after the recorded owl noise, that screech in the background - that's what we were after? ED HILL: Yeah that's it, it's that low guttural, kind of... it's quite a distinct sound, and that's what we're looking for. So we record the direction that we've heard that call coming from and we estimate the distance. ELISE KINSELLA: Ed, we were walking down a fairly dark, straight patch of road, we heard a noise to our right and looked up. Do you want to explain what we saw? ED HILL: We just saw a yellow bellied glider just glide right above our heads just across the road and land in a tree. It's really, really lucky to see these animals actually gliding. ELISE KINSELLA: We're walking back to the car, what's been the final result of tonight's survey? ED HILL: It's been a really successful survey. We've recorded 10 yellow-bellied gliders on our transect, which is fantastic. That's enough to get this area of forest protected. ELISE KINSELLA: Environmentalists want to see Victoria's Environment Minister Lisa Neville hand over responsibility for these ecological surveys to an independent body, not VicForests. They argue the logging body simply isn't doing a good enough job. The ABC asked Ms Neville how much confidence she has that VicForests isn't logging protected species and habitat, after the discovery of 15 greater gliders in a separate section of forest. LISA NEVILLE'S STATEMENT: The Government is disappointed to see that rare and threatened species may have been impacted by the harvesting operations in question, if this community generated information had not been made available. We are currently working to ensure that in the future we are guided by the best available data, which will help improve decision making. ELISE KINSELLA: VicForests communications manager, David Walsh, says the logger will also be changing how it surveys forest. DAVID WALSH: Look, VicForests wouldn't have found them ourselves in that particular site and as a result of that type of occurrence and information coming to us, we're now reviewing our overall approach to targeted pre-harvest fauna surveys for species like greater gliders. ELISE KINSELLA: He says his organisation will consider any information it's given about the survey for the yellow bellied glider. MICHAEL BRISSENDEN: Elise Kinsella with that report.